When people think about chiropractic, they often think of the neck and back. Even with the close proximity of the neck to the head region, people seldom realize chiropractic is so effective at helping people who are suffering with migraines and headaches. The truth is, chiropractic is so effective at helping with these issues, it’s unbelievable that society has not yet caught on to this. Let’s take a look at what clinical and case studies have shown us. How Does Chiropractic Work for Migraines and Headaches? 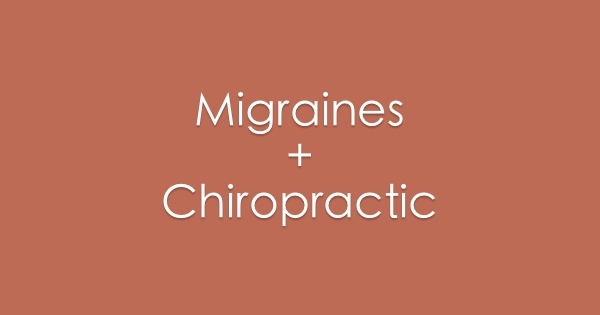 Chiropractic works in helping migraine and headache sufferers due to the delicate anatomy of the upper neck. In addition to the lower portion of the brainstem, the main blood supply to a significant portion of the brain must travel through the tiny opening in the spinal column. Misalignment of the spine, known as vertebral subluxation, occur commonly in the upper neck. That shift in spinal position interferes with the all-important nervous system messages as well as the blood supply to the brain. Severe head pain is simply the natural response to a situation that is damaging to the body. Is Chiropractic a Treatment for Migraines and Headaches? While chiropractic is not technically a “treatment” for migraines or headaches, just as it is not a treatment for autism or other conditions, it does have dramatic restorative effects. Our nervous systems control and coordinate normal function and healing. Once stress has been removed from that system, the natural result is better healing and function. To find out if vertebral subluxation is causing migraines or headaches in your life, give us a call at (512) 452-2525 so that our friendly team can schedule a consultation with the doctor. 1. Tuchin P.J. A case series of migraine changes following a manipulative therapy trial. Australas Chiropr Osteopathy. 1997;6:85–91. 2Wight J.S. Migraine: a statistical analysis of chiropractic treatment. Am Chiropr Assoc (ACA) J Chiropr. 1978;15:S63–S67. 3Tuchin PJ, Pollard H, Bonello R. A randomized controlled trial of spinal manipulative therapy for migraine. J Manipulative Physiol Ther. 2000;23(2):91-95. 5. Bronfort G, Assendelft WJ, Evans R, Haas M, Bouter L. Efficacy of spinal manipulation for chronic headache: a systematic review. J Manipulative Physiol Ther. 2001;24(7):457-466. 6. Vernon, Howard T. The effectiveness of chiropractic manipulation in the treatment of headache: an exploration in the literature. Journal of manipulative and physiological therapeutics 18.9 (1994): 611-617. 7. Additional Headache and Migraine case studies and research papers. This entry was posted in Austin TX, Chiropractic Care, Chiropractic Research, Migraines, Subluxation and tagged headaches, migraines by Dr. Justin Swanson. Bookmark the permalink.